The Gelato World Tour came to Austin (its only US stop), and it was delicious! 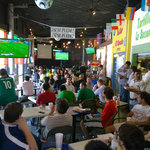 16 gelato chefs competed with different flavors. 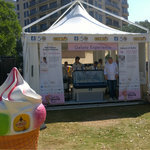 There were also gelato demonstrations and such. Apparently a key ingredient of gelato is air! A list of all the flavors. 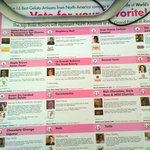 I liked Maple Brown Butter Pecan the best (from a gelateria in Alaska! 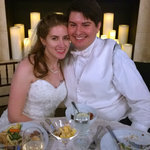 ), although Bananas Foster was a close second. 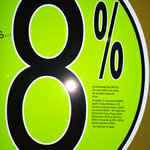 Wow, a title loan for "as low as" 8%! (seen at a payday loan place) The tiny print on the sticker itself points out that in a typical case, with all the extra fees and whatnot the APR is more like 205%. So...yeah. David pointing at a cactus in a tree! This was taken in the Austin airport's cell phone lot, which is surprisingly nice. 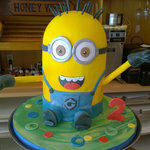 Another impressive cake from the folks at Rustika in Houston. We were there for cake tasting, which was of course tasty. 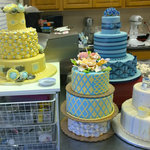 More nice looking cakes at The Pie Factory. 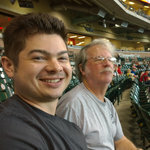 Chris and my dad at the Astros game. 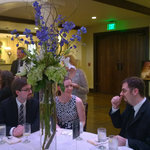 Here are a few pictures from Matt and Jaci's wedding. Once again, our namecards are friends! 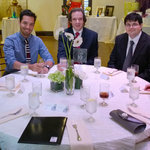 Table 10 was a NI table! 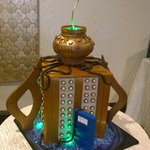 Matt's groom cake was an inside-out TARDIS! 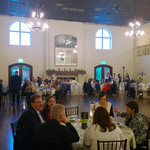 A view of the whole reception.